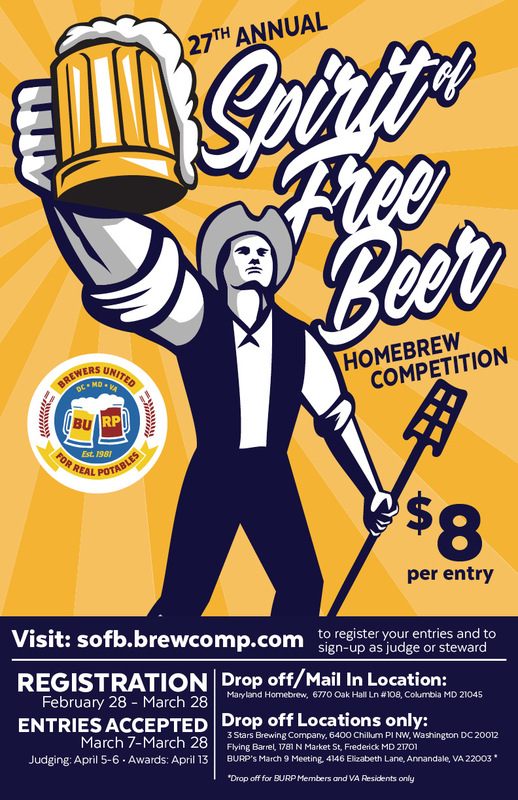 Home Spirit of Free Beer (SoFB) Homebrew Competition – See the Winners Below! Beer Judge Certification Program (BJCP) qualified judges who provide entrants with quality feedback in the form of written evaluations containing suggestions for improvement. Great prizes such as brewing ingredients/equipment, apparel from well-known breweries, and gift certificates from local merchants. The 2018 competition had prizes with an estimated total retail value of greater than $4,000. 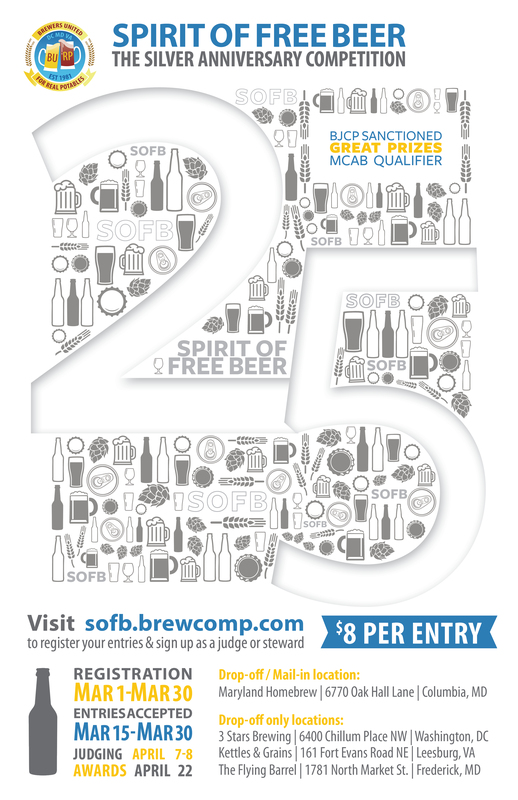 No limit on number of entries per brewer (but entering early is always recommended for all). All BJCP beer styles accepted. $8 for all entries. Spirit of Free Beer is also a qualifying event for the prestigious Masters Championship of Amateur Brewing (MCAB) competition. 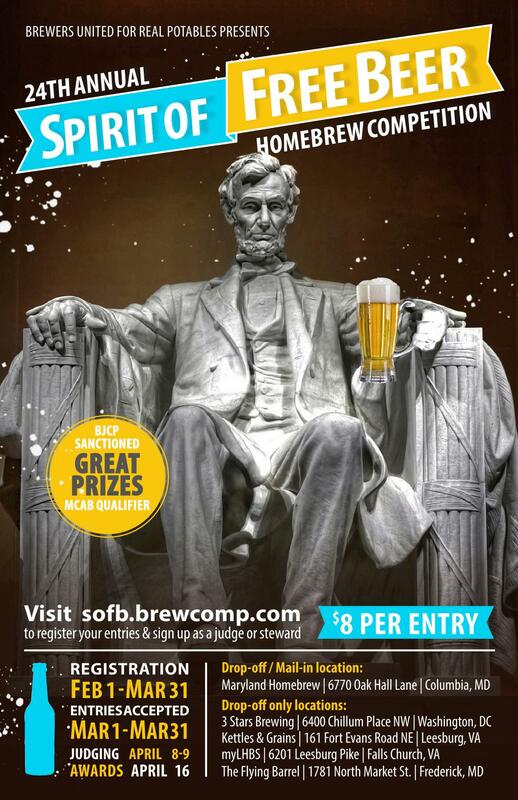 The 27th Spirit of Free Beer was held in Silver Spring, MD on April 6, 2019 at Silver Branch Brewing Company. You can see all of the winners (for this competition and for several previous ones) at the links below.